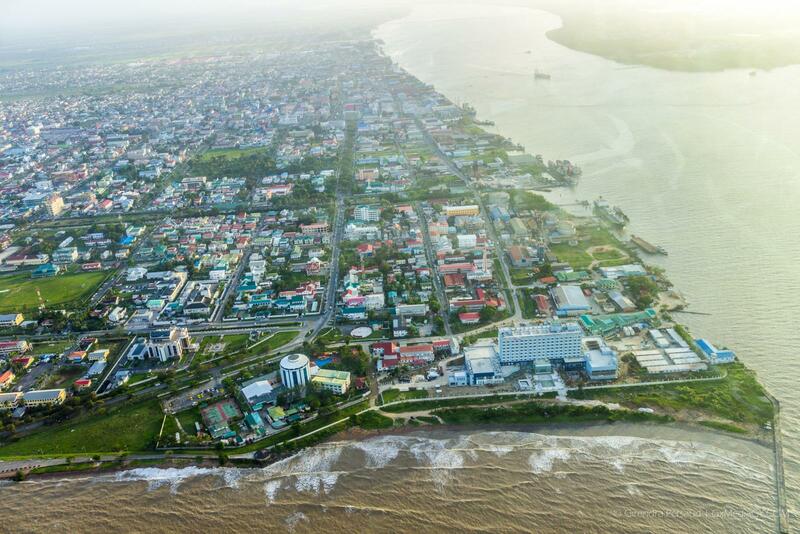 Georgetown, Guyana – (September 26, 2018) President David Granger, today, urged residents of the Upper Takutu-Upper Essequibo Region (Region Nine) to build resilience to withstand economic pressures. The Head of State was at the time delivering the feature address at the opening of this year’s Rupununi Regional Heritage celebrations, being held at the St. Ignatius Village Benab. He called on the people of the Rupununi to reflect on their accomplishments over the years and look towards enhancing their village economies. President Granger reminded that an economic foundation is key to a prosperous life. “It is the economy which keeps society going,” he stated while adding that “our economic survival is most important. Every society is determined by the way it makes its living. If the quality of life is to improve hard decisions have to be made”, the President said while calling for there to be a move from a subsistence level to a sustainable level of living. President David Granger takes a photograph with little Anna Vieira after declaring the Rupununi Regional Heritage celebration 2018. President David Granger addresses residents of the Rupununi at the opening of the Rupununi Regional Heritage celebrations 2018. Four-year old Anna Vieira, of St. Ignatius Village recites a poem at the opening of the Rupununi Regional Heritage celebrations 2018. Dancers from the Surama group perform a cultural item at the opening of the Rupununi Regional Heritage celebrations 2018. President David Granger greets a resident of St. Ignatius upon his arrival at the village for the Rupununi Heritage celebrations 2018. Also, in photograph are Chairman of the National Toshaos’ Council Nicholas Fredericks (left) and Brazilian Vice-Consul, Ms. Lisa Mary Sousa Dos Reis. Cultural dancers of the Rupununi dance on the roadway in St. Ignatius Village. Chairman of the National Toshaos’ Council Nicholas Fredericks (center) stands with some Rupununi dancers and members of the Peace Corps. St. Ignatius Village which sits on Guyana’s border with Brazil has a small population but President Granger believes that much more can be done to enhance the livelihood of those who live there. “We in Guyana have to be very careful as we plan our economic survival, not only for this year and this month but to ensure the long term survival of our country,” the President said as he called on the people of Rupununi to build resilience to make Region Nine strong. “Think about how we will build resilience to make this region strong; strong enough to withstand any economic pressure. Strong enough to ensure our children and grandchildren will live better lives than we live and that our parents and grand-parents lived,” the Head of State said. He noted that one of the most important elements in the economy is food security. “The region has to be secure,” President Granger declared while noting that to ensure food security there must be the sufficient production of food which can be shared in other areas. “We must not let our products go to waste,” he added. The villages of the Rupununi, he noted have the capability to move from subsistence farming to sustainable farming because Region Nine, perhaps more than any other region, is susceptible to the vagaries of the weather. “We have to become more resilient. In a few days’ time, over five dozen members of the Brazilian Construction Engineering Battalion will be coming to this great region to provide some environmental security so that we have wells during the dry season to provide water to families and livestock and we won’t go from these cycles of excessive water to drought,” said President Granger. The drilling of artesian wells in the villages of Aishalton, Chukrikednau, Shea, Maruranawa, Awaruwaunau, Karaudanawa, Achiwib and Bashraidrun by the Brazilians is set to begin on October 4, 2018. Moreover, the Head of State noted the need for residents of the Rupununi to look at other aspects of economic diversification, while pointing to the tremendous potential of the Region. Giving Eco-tourism as one example, the President noted the need for a single Rupununi authority which will encapsulate all aspects of tourism and market same. “We need to look at the possibilities of Eco-tourism. Some people want to study the birds and the animals; an intelligent type of tourism. This has to be organised. The flights, transportation, accommodation, safety has to be organised so that when they [tourists] come they can have an enjoyable experience,” President Granger stated while noting that there is no other Caribbean country with an Eco-tourism product like Guyana’s and more specifically, the Rupununi’s. But while specific reference was made to tourism, the President was quick to note that economic diversification is not just about tourism. He believes that with the implementation of the Village Improvement Plans (VIPs) the economy of the villages within the Rupununi can prosper economically. Once followed and with an aggressive marketing plan, the President believes that there will be more employment opportunities for young people when they graduate from school. Meanwhile, President Granger noted energy as another important facet of economic diversity. He said in order to achieve the ideals set by the people of the Rupununi; there must be access to energy. “In all of this we need energy. We can’t do this without energy. Energy now is becoming more accessible…the amount of sunshine you get from the Rupununi on a daily basis exceeds that in any other part of the country. It means that the use of solar energy is feasible not just at the household level but at a community level – to power the schools, medical centres and factories,” he stated. Further, President Granger noted the importance of environmental security while referencing reports made by the South Rupununi District Council (SRDC) on the pollution of the water ways by miners. “Environmental security is very important if we are going to provide for food security,” the President said while noting that every region needs to have an environment policy so that children would grow up knowing that the environment is their future. Poverty, the President declared must not be taken for granted while stressing that there is need to reduce poverty. 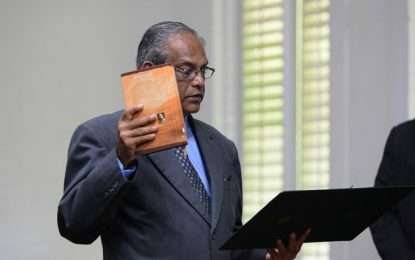 He said too many persons are still deemed extremely poor and noted that poverty in the Rupununi like other parts of the country can be reduced and ultimately eradicated if villages have economic independence. Minister of Indigenous Peoples’ Affairs, Mr. Sydney Allicock called for there to be greater unity among the people of the Rupununi. He cited unity, respect, management and honesty as a few important characteristics of success. He like President David Granger noted the VIP and its importance. Similarly, Regional Chairman, Mr. Brian Allicock noted that it is through unity that progress has been made in Region Nine. Chairman of the National Toshaos’ Council (NTC) and Toshao of Shulinab, Nicholas Fredericks noted that the heritage celebrations should be seen as a time for reflection on the contributions made by the Indigenous communities towards the building of the nation. He said too that reflections must not be focused only on positive things but also on areas of improvement. “We should celebrate in a meaningful way,” said the NTC Chair who called on residents of the Rupununi to work hard to have their various issues resolved. “We have a lot of work to do. We must never be divided; let us work together in unity and celebrate in unity,” he stated. Mr. Fredericks also referenced the need to preserve the cultures of the indigenous peoples. Similar sentiments were expressed by Minister within the Ministry of Indigenous Peoples’ Affairs, Mrs. Valerie Garrido-Lowe. At the conclusion of the opening ceremony, President Granger presented a cheque valued $1M to the St. Ignatius Village and another valued $500,000 to Regional Democratic Council through Regional Chairman, Mr. Brian Allicok. A number of footballs were also handed over by President Granger to Toshao of St. Ignatius, Dennis Benedict. Also present at the opening of the Rupununi Regional Heritage celebrations was Minister of Public Affairs, Mrs. Dawn Hastings-Williams, Permanent Secretary of the Ministry of Indigenous Peoples’ Affairs, Mr. Alfred King and Brazilian Vice-Consul, Ms. Lisa Mary Sousa Dos Reis. The regional heritage celebrations will come to an end on September 29.